Preparing for taxes is challenging. If your situation is simple with just one W-2 and some bank or mortgage interests, you may not want to hire a CPA. However, if you have some twist and turns such as how much you earn, you are divorced, or have any retirement plans, you may want to consider hiring a CPA for your tax preparation. Additionally, if you are concerned about your tax preparation, a CPA can advise you and help you prepare everything from scratch. CPAs can assist you in not only with preparing your taxes, but monetary planning as well… which means their doors are open year round. If you want to invest in your children’s education or start a new venture, they can help you with planning and building strategies per your requirements. Let’s take a brief look at some complicated situations that benefit from having a CPA in tax preparation. Those with high net are more likely to be audited. If you want to avoid facing any problems with the IRS, ask for guidance from a CPA. A CPA can help you with bookkeeping and making sure that you have filed correctly. Therefore, if you are audited, your CPA will represent you and your interests. There could be some advantages and disadvantages in tax consequences when you are divorced and have children. Your CPA can help maximize benefits on both sides. CPAs are not only looking to do your taxes; they also want to help you with an ongoing relationship. There are many different taxes that we may not be aware of. Using his or her skills and experience, a CPA can help you pay the least amount of taxes if you own a business. It is important that you keep track of your monthly and yearly expenses by bookkeeping because, when it is time to do your taxes, it will save you from extra hours of going back and having to organize those things. 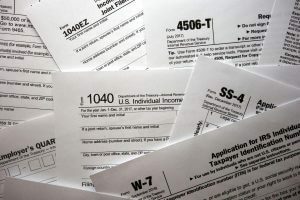 Some are more interested in using a tax software as they believe it will save them from paying a huge amount in taxes. However, keep in mind that these software’s cannot handle extremely complex situations. There are numerous other reasons why you need to use a CPA when preparing your taxes if you have a small business or liability. CPAs are licensed by the state. Keep in mind that they are different from an accountant. CPAs pass an exam to maintain their certification. Their responsibility is to keep track of tax laws and, if any changes are made, they share it with their clients. CPAs are always in a learning process because they have to stay updated with all of the laws (whether it is local, federal, or state). In order to continue their license, they have to take courses/exams on the latest tax policies and run their business according to specific requirements by their state. A CPA’s knowledge and skills help reduce any tax liabilities and guide you on how to save more money for the future. A CPA will keep a record and maintain privacy of your tax information for years. You don’t have to continue maintaining folders for your tax papers, they do it for you. Nowadays, everything has become digital. However, if you want to keep a copy for your own records, a CPA will arrange it for you. If you are running multiple businesses or taking care of your home and children and running out of time, these are very good reasons to get a CPA on board. It certainly doesn’t mean that you don’t have to do anything. You just have to share your business details and financial information with your CPA and they will enter it all into the system and file your return. It might be frustrating getting all of the details together in the beginning. But, eventually, it will get better once your CPA understands your business. What's A Reasonable Price To Pay For Tax Return Preparation?